Naturalized areas and roughs are becoming a more common focus on golf courses that are considering environmental changes in their property. These are considered low-maintenance, but the level of inputs will impact their quality and appearance of naturalized areas. Weed control is a key component in maintenance of these areas. In addition to herbicide applications, one of the best weed control practices is mowing once or twice a year. The species composition can make herbicide selection challenging, so a pre-emergence herbicide such as Barricade®, which demonstrates turf safety on most established grasses, will help control annual grass and some dicot weeds. The extended soil residual of Barricade means applications can be made in the fall after soil temperatures drop below 50° F or in the early spring for summer annual weed control. For late germinating weeds such as foxtails, a second application is recommended eight to 12 weeks later. If a fall application was made, wait until soil temperatures reach 65° F for the second application. 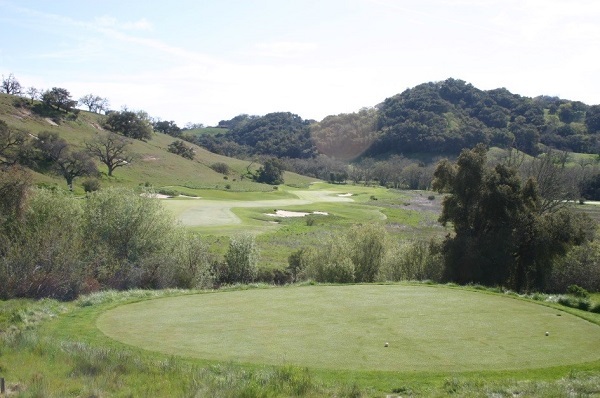 This California golf course features well-maintained naturalized areas and roughs. Purdue University, Penn State University, North Carolina State University and University of Arkansas, 2000. For more information about weed control in naturalized areas and roughs, please contact your local Syngenta territory manager or download the GreenCast® Turf App from the Apple® App Store or the Google Play Store. Syngenta also has new soil temperature maps and alerts available to help monitor pests like crabgrass. ©2018 Syngenta. Important: Always read and follow label instructions. Some products may not be registered for sale or use in all states or counties and/or may have state-specific use requirements. Please check with your local extension service to ensure registration and proper use. Barricade®, GreenCast® and the Syngenta logo are trademarks of a Syngenta Group Company. Apple® is a trademark of Apple Inc. All other trademarks are property of their respective owners.